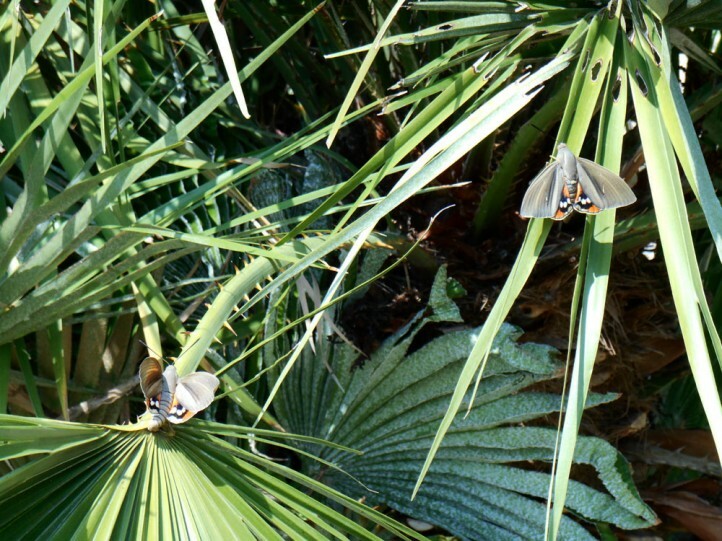 The larvae live in the tip of palms. In Europe, Paysandisia archon is usually found near the coast on planted palms. But it also uses native Chamaerops. The larva lives within petioles and the softer tip of trunk. It often lets die off the plant. Thus this splendid species is considered a pest. Paysandisia archon is native to S-America. It has been introduced by accident into the Mediterranean and is now found there for example in Spain, S-France and Italy.